Introduced in the 70’s, jumbo mortgages are available for home buyers who need a larger-than-average mortgage. Jumbo loans, or jumbo mortgages, allow people to take out mortgage loans for larger amounts than the traditional conforming limits. Jumbo loans were very popular before the recent economic crisis because prices were very high in some areas even for modest homes (Read: Everything You Need to Know About Jumbo Mortgage Loans). Mortgage loans have conforming limits that are set by Fannie Mae and Freddie Mac. These limits represent the maximum amount that these two government backed organizations are willing to pay in order to buy the loan from a lender. If Fannie Mae and Freddie Mac do not cover the full amount, the mortgage loan is considered a jumbo loan. Not being backed by these two organizations means that jumbo loans will have higher interest rates than conventional mortgage loans. Also, giving out a jumbo loan is considered high risk by lenders, so the qualification requirements will be stricter than for a conventional mortgage. Conforming limits vary from one area to another and are usually higher in expensive housing markets. Once you start looking for a home, you may be surprised that you may have to take out a jumbo loan in order to buy a $500,000 home in some areas, while you can buy a house with the same value by taking out a conventional loan in other areas. Who is a Jumbo Mortgage Designed For? Jumbo mortgages are designed for people who can afford a more expensive home that can’t be bought with a regular mortgage. Right now, the borrower is not necessarily the one who decides that he or she needs a jumbo mortgage. After the housing market crashed recently, many lenders found themselves having large financial issues due to giving out jumbo loans too easily, so now they are the ones who decide if you need a jumbo loan. If a borrower can’t pay off the jumbo loan quickly, the interest charges will add up to a small fortune over time. Jumbo mortgages are considered very high-risk by lenders, so they won’t give them out to anyone. In order to qualify for a jumbo mortgage loan, borrowers must have an excellent credit score, typically over 720 (Read: What Credit Score Do I Need to Qualify for a Mortgage?). Their debt-to-income ratio must also satisfy the lender’s requirements. To minimize risk, the lender will probably ask for a larger down payment, usually 30 percent of the total loan amount. Jumbo mortgages may be more expensive than traditional mortgages, but can also be very advantageous to those who need such a mortgage. Here are the top reasons why you should get a jumbo mortgage. You need the extra money that a jumbo mortgage provides. The largest reason why you should get this type of loan is that you need more money to buy a larger home or a home situated in an expensive area. A jumbo loan will also help you avoid spending all your savings in order to buy a home (Read: Need Help Keeping Up With Mortgage Payments?). You avoid taking out two or more mortgages. Sometimes, purchasing a home requires taking out two, or even more, mortgage loans. Taking out and paying off two loans instead of one can be overwhelming and more expensive. Jumbo mortgages simplify the process of buying a home by allowing you to make the purchase with a single mortgage loan. Jumbo loans come in several shapes and sizes. Like traditional mortgages, jumbo loans come with various terms and options, depending on what you look for. You can choose to take out a short-term or a long-term jumbo mortgage, with an adjustable or fixed interest rate. The type of jumbo loan that you can get depends on what your qualifications and requirements are. 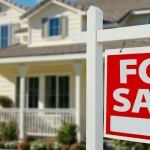 Interest rates on jumbo mortgages have started decreasing. The government introduced a stimulus package back in 2009 in an effort to stimulate home sales and the growth of the economy. Interest rates on jumbo loans are actually lower than the rates on conventional loans in many cases, and they have dropped to record lows as a result of the government’s involvement. Read more about their low interest rates here. Applying for a jumbo mortgage has become easier. Applying for this type of loan is still more difficult than applying for a traditional mortgage loan, but recent developments in the housing industry have made it easier than before. The main reason is the competition between lenders, who have lessened their requirements in order to attract more home buyers. Refinancing a jumbo mortgage can yield bigger savings than refinancing a traditional mortgage. Refinancing a traditional mortgage at the right time can bring thousands in savings (Read: Quick Tips on Mortgage Refinancing). Because jumbo mortgages are much larger, refinancing them can bring even larger savings, which can be used for a number of other things, like paying off other debt or living expenses. Jumbo mortgage offers are more attractive than ever. In order to attract those who qualify, most lenders are offering special offers for taking out a jumbo loan. These offers include reduced closing costs and fees, faster processing and many others. Lenders can afford to reduce or even waive some fees, because jumbo loans yield more profit for them than conventional mortgage loans since they have higher interest rate. To read about the bank’s latest interest in jumbo mortgages click here. Determining your budget and knowing exactly what kind of mortgage loan you are looking for is very important when deciding to get a jumbo mortgage. While jumbo mortgages are more attractive than ever right now, you should also remember that they are more difficult to get, and come with higher interest rates than traditional mortgage loans. Jumbo mortgages are a great option for those who need larger mortgages and want to avoid having to take out two or more mortgage loans in order to become home owners.